South Pasadena is a town fiercely dedicated to its history, which of course, is why it’s so darn charming. Throughout the city, there are houses, buildings, churches, and even trees categorized as historic landmarks (some “official,” some not) that date as far back as the late 1800s. One relic that’s still thriving after decades and decades as a community hub is Fair Oaks Pharmacy and Soda Fountain—and this year marks its 100th anniversary. 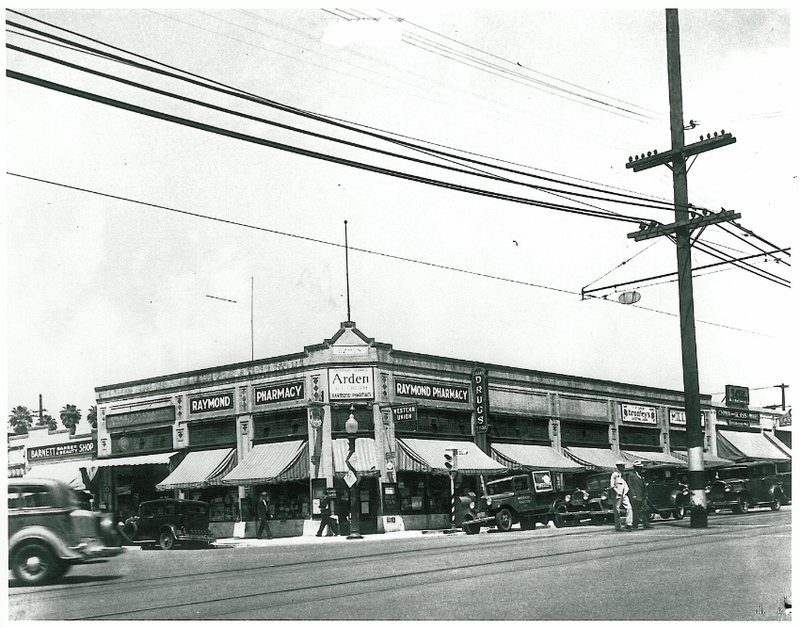 On the corner of Mission Street and Fair Oaks Avenue, the old-school spot opened in 1915 first as the South Pasadena Pharmacy, was then later renamed Raymond Pharmacy, and, at long last, Fair Oaks Pharmacy. According to a Quarterly Magazine piece by writer Fletcher H. Swan, the pharmacy added a soda fountain that served ice cream, shakes, and a light menu of lunch options some time during the 1920s or ’30s, making it a popular destination for those cruising the original Route 66. Even today, along with its popularity among locals, the Fair Oaks Pharmacy still attracts visitors far and wide. While Fair Oaks Pharmacy still fills prescriptions and sells medical equipment (there’s also a gift shop section stocked with retro toys and memorabilia) the main draw these days is the soda fountain,which was restored in the early 1990s by former owners Michael and Meredith Miller, who sourced the antiques from an early-1900s pharmacy in Joplin, Missouri. 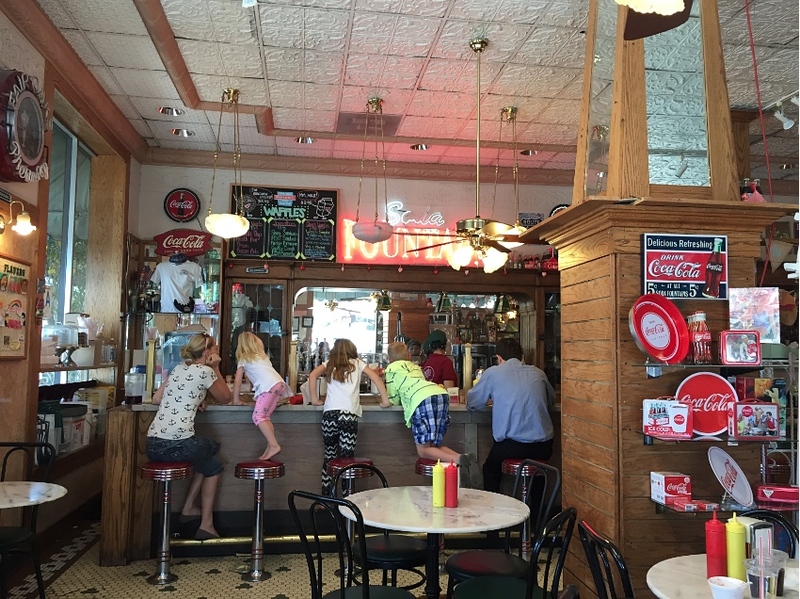 Lined with retro red stools and decorated with neon lights and vintage Coca-Cola signage, the fountain serves all the old-fashioned favorites you’d expect. For a sweet blast from the past, Fair Oak has phosphates, rickeys, ice cream sodas, and the Banana Royale, a hot fudge-heavy concoction made with three scoops of vanilla and banana slices. 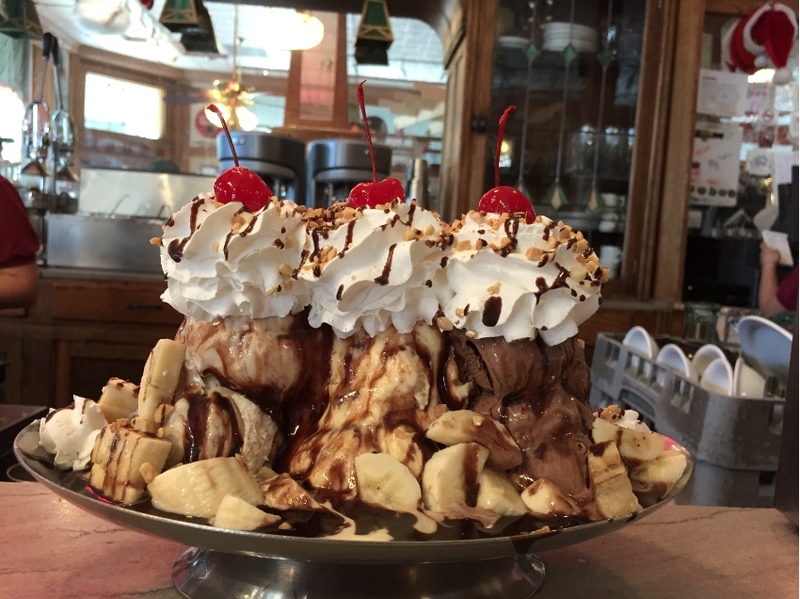 The piece de resistance is called The Kitchen Sink, a combination of up to eight ice cream flavors and as many toppings, plus bananas and chunks of brownies—the menu suggests that at least four people share it. Since being taken over by the Shaninas, a local South Pasadena family, the pharmacy has done a bit to expand its offerings. A couple of years ago, a breakfast menu was added along with a coffee bar that serves up frappes and a full range of espresso drinks to keep up with modern tastes and expectations. While the business would love to expand their kitchen and offer a larger menu, they say the South Pasadena historic codes won’t really allow that kind of tinkering with the building’s bones. We are okay with that. Fair Oaks Pharmacy, 1526 Mission St, South Pasadena; 626) 799-1414. If you want to visit the pharmacy, now is a great time—they just decorated for Halloween, and it’s a sight to behold. The Most Enchanting, Nostalgic Candy Stores in L.A.